I'm obsess with patterns. I don't have an explanation for this, it's a fact: whenever I see a print or a pattern I come to life. Only now, after years of search for something that is interesting and can give a meaning to the world for me, at last I have found that patterns are my best friends. When I look at the loves of my life I can see a repeated pattern of patterns in them. I love prints on fabrics and repetition. Not long ago I was working as a staff member in a second hand shop. I was surrounded by vintage dresses in all colors and forms, sweaters with unique patterns and scarfs knitted, embroidered and printed in every possible variation. 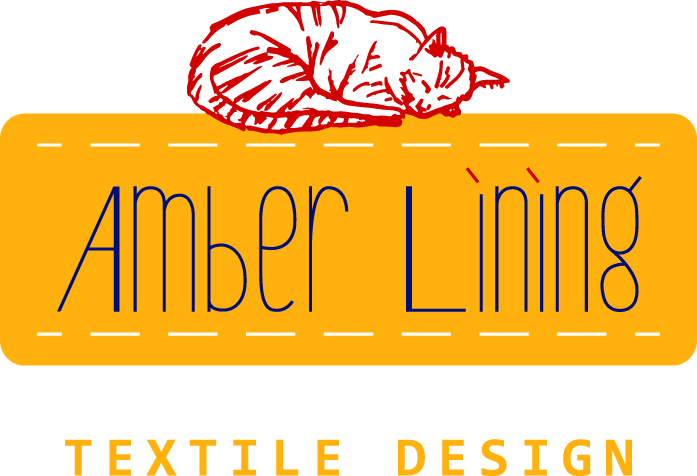 That's where I become aware of my love for textile design. Now, when I think about it, I know that pattern structure is something I was always fascinated by. I remember, even when I was writing poems, I wrote with structure and patterns in mind and they were full with repetition of meanings. 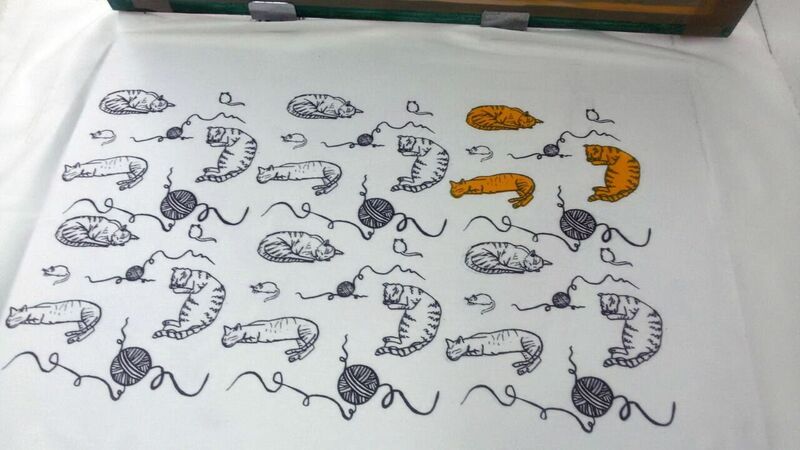 This is why, when I finally figured out that patterns and prints are what I love, I did not want to compromise: I started learning how to be a screen printer and created a colorful pattern to print with my favorite color and animal: An amber cat (btw Amber is also my name). It was not easy - but I enjoyed every moment. 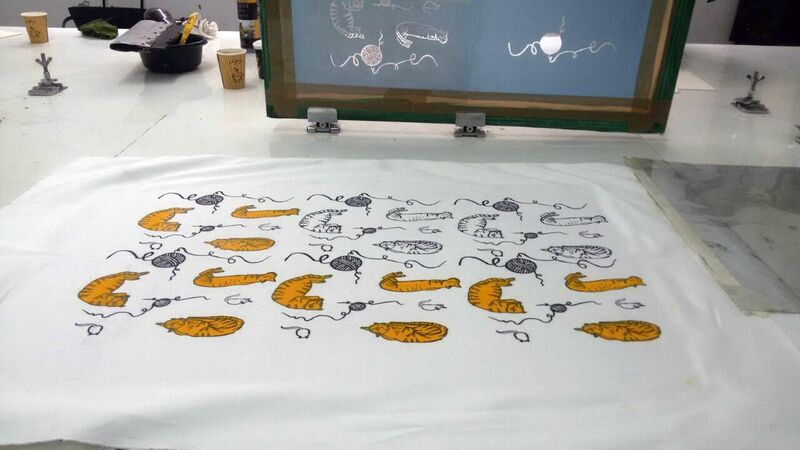 In the end it become a 4 color print of a repeated pattern. 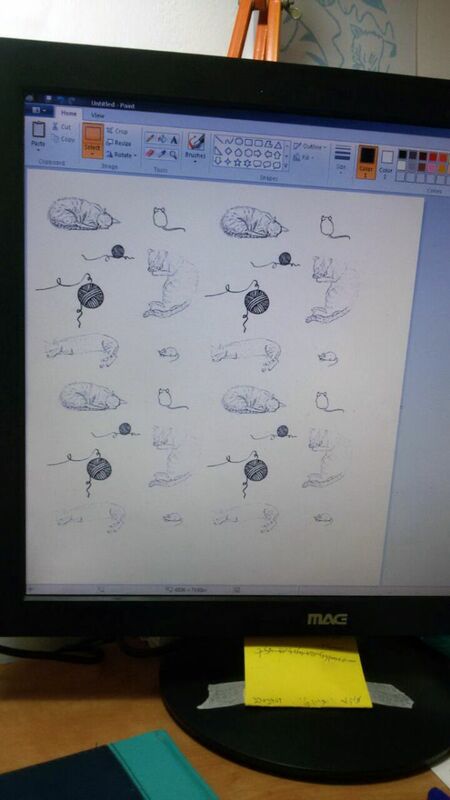 I started it by drawing some illustrations of cats, mice and wool. Scanned and played with the items in my illustration. 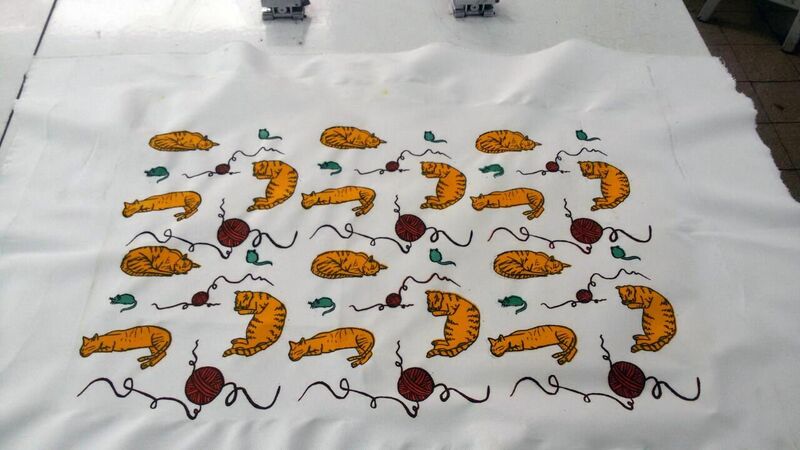 Copied and placed them to make a nice pattern that I liked. 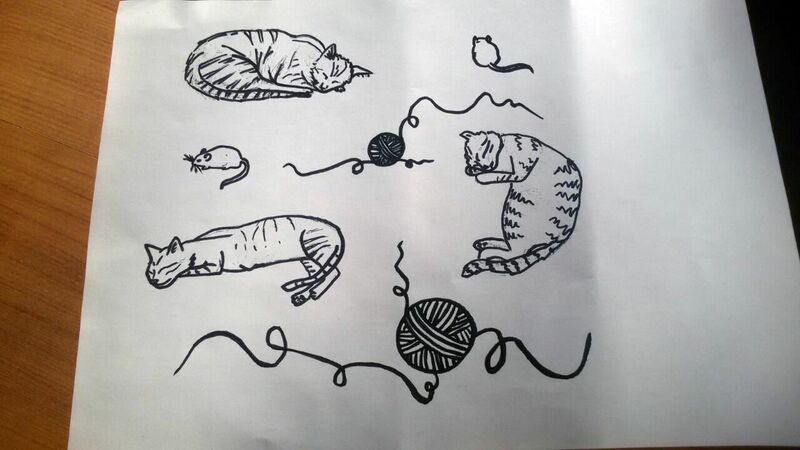 Then, additional to the contour I've already drew, to make a 4 color print I needed to create shadows of cats, mice and wool so each item in my illustration would have its own color eventually. 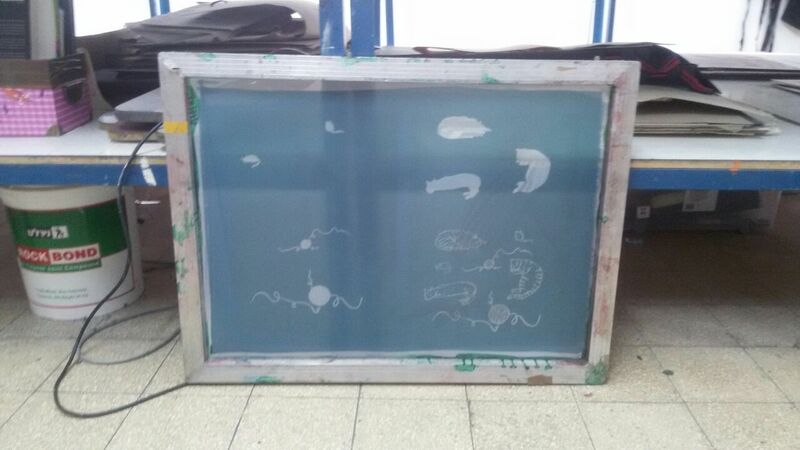 Screen printing works like every other stencil works: you have a stencil with blocked and open parts: You should leave the parts which you want the ink to move through open and this crates the print. 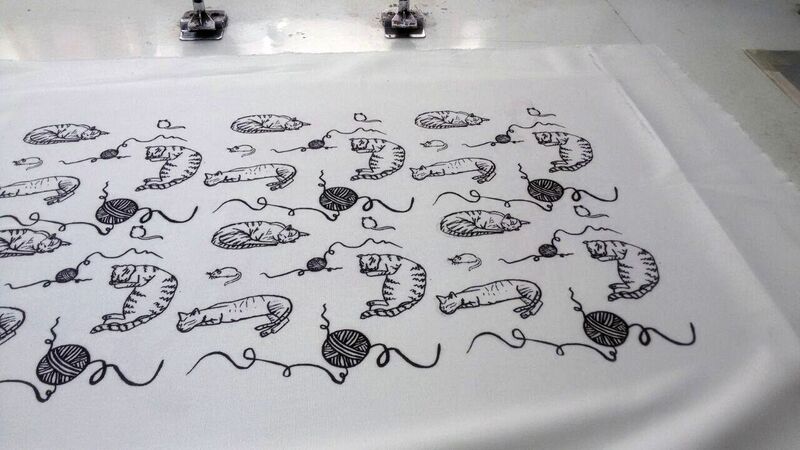 I started by printing the contours in opaque black ink. 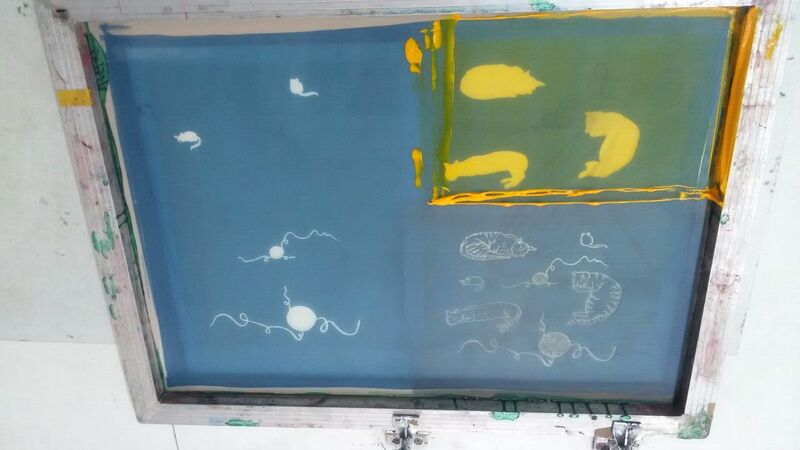 I did that so I can see where exactly I want the amber color ink and the other color inks to go on the print. I loved the result so much that I sew a pillow form the printed fabric I made. You can see it now in my online shop here. Have any questions? Ask below, leave a comment or send me a message here.